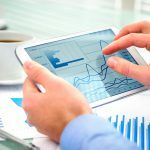 Employees at government agencies and businesses of all sizes use accounting and other 3rd party software applications for core day-to-day operations. Some core applications generate report and forms output that is typically printed to paper for distribution to employees and customers. When it is necessary to keep a copy of reports and forms, MARS offers a simple solution for electronically importing the output into the Laserfiche repository. Example 1: A state department of social services produces report files for counties to download and later print to paper or store as Word documents for historical and research purposes. Example 2: A city prints to paper its semi-monthly payroll reports and stores them in binders for historical and research purposes. Example 3: A business prints financial reports for employee use, and also statements that are mailed to customers. The business needs to keep copies of reports and statements for historical and research purposes. In all examples above, Laserfiche scanning could be used to archive paper copies of reports and statements. However, the workload for the scanner operator could be enormous, especially when hundreds or thousands of individual documents need to be archived. MARS eliminates the requirement to scan paper files. Instead, the same files that would be printed to paper could be printed to an IP address on a network port. MARS Port Listener stores the output files to disk. MARS File Manager moves the output files to the designated incoming folder for MARS processing. The MARS scheduler determines when to process files and other MARS components can print-to-paper, burst into separate reports or customer forms, and then import the PDF/PNG files. A process that would require a scanner operator hours or days of tedious work can be completed in minutes or hours by MARS. MARS Port Listener: Captures spooled file output files printed from 3rd party applications to an IP address on a network port. Supports LPD protocol. MARS File Manager: Moves PDF, HTML, ASCII and EBCDIC output files to project incoming folders. MARS Scheduler: Schedules begin and end times for projects to process output files. MARS Separate Text Reports: Bursts different report formats from one ASCII file into multiple files. MARS ModifyTXT: Removes extraneous characters from text files. MARS TextToPDF: Converts ASCII and EBCDIC output files to PDF (e.g. reports, statements, notices, 1099s, POs, invoices, etc.). Adds greenbar to reports and image overlays to forms. MARS HtmlToPDF: Converts HTML output to PDF. MARS ModifyPDF: Cleans up and compresses PDF files and adds image overlays. MARS Print: Prints the PDF to a designated Windows printer. MARS IndexPDF: Extracts index fields from zones in PDF and bursts a PDF that contains multiple customer forms into individual PDF or PNG files for each customer. MARS BuildLST: Creates LST files for PDF/PNG output. MARS Post To Laserfiche: Imports into the Laserfiche repository PDF/PNG files. PNG files are converted to TIF during import process. Required Laserfiche Products: Laserfiche 7.2 or higher. 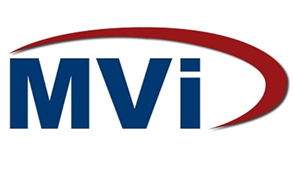 Contact MVi at 801-277-6686 or an authorized MVi VAR. Millennial Vision has been affiliated with Laserfiche since 1997 and distributes MARS as a Laserfiche PDP developer.